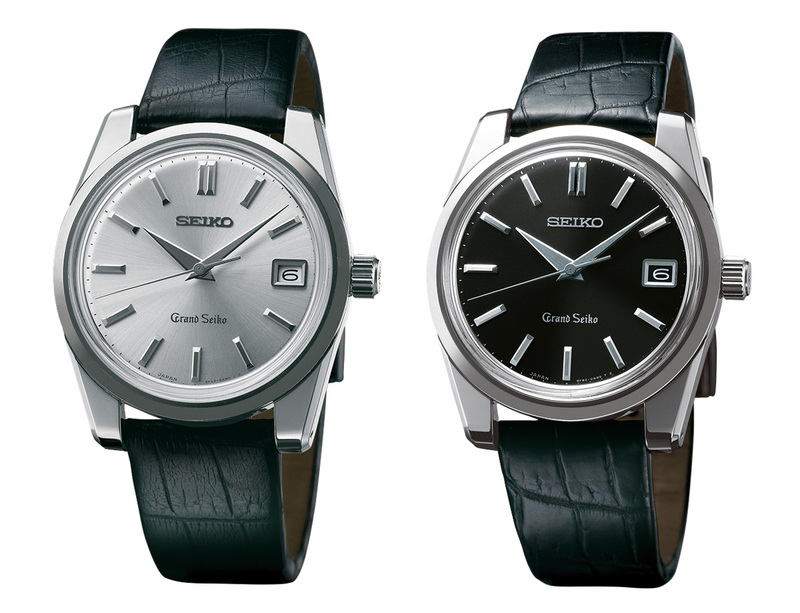 Distinguished by its wide and flat lugs, the Grand Seiko “Self-Dater” of 1964 provides the template for five new Grand Seiko models in 2014, including both Spring Drive and high-precision 9F quartz models. 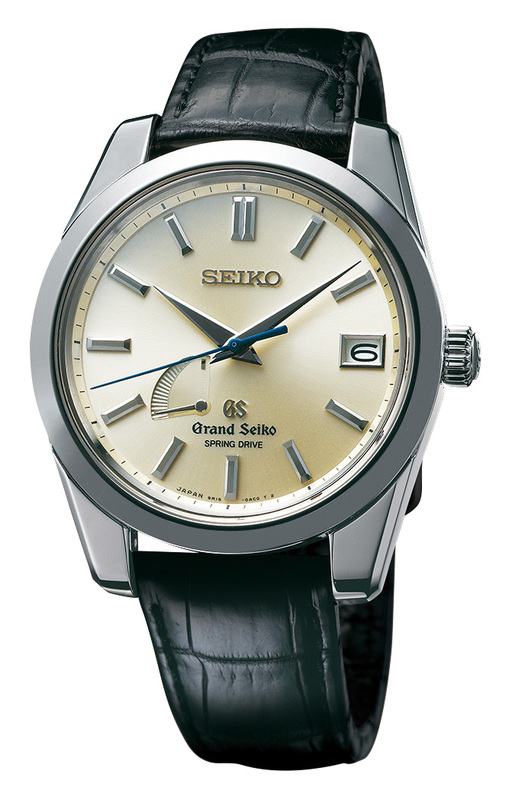 Introduced in 1964, the Grand Seiko 57GS, nicknamed “Self-Dater”, was the first Grand Seiko with a date function. Its most striking design element was the broad and flat lugs, making it appear larger than its smallish 36.5 mm. 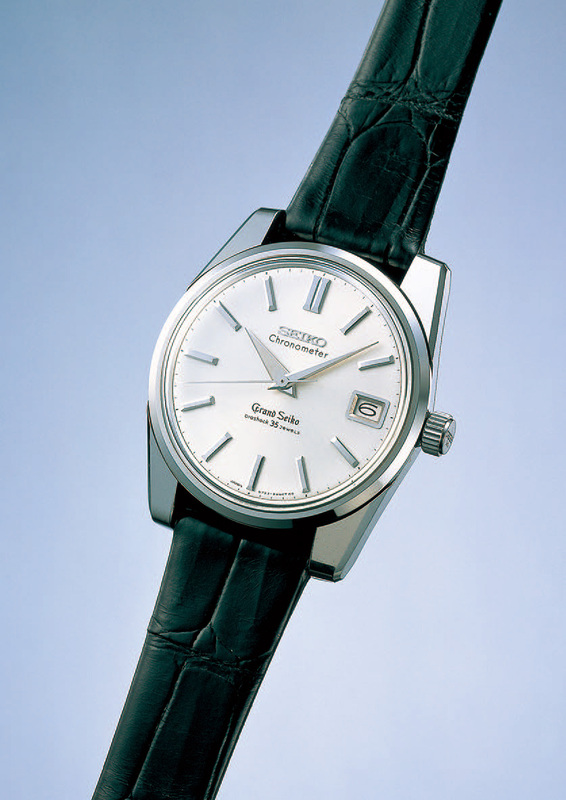 With that as an inspiration, Seiko has unveiled five new Grand Seiko models at Baselworld 2014, all based on the 1964 Self-Dater. Closest to the original are a pair of limited edition high-precision quartz watches. 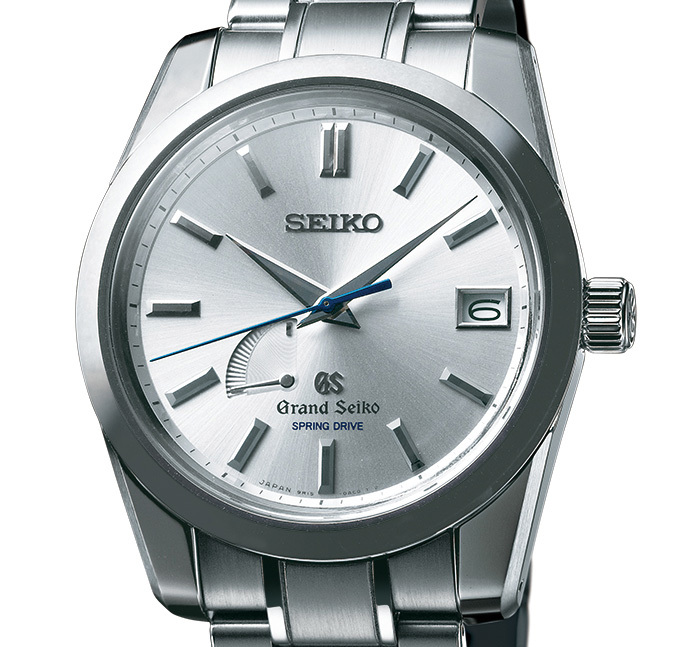 Both use the 9F82 movement, part of the 9F series of Grand Seiko quartz movements, possibly the most advanced quartz movements on the market today. Thermo-compensated and equipped with a high torque motor, the 9F movements are rated to within 10 seconds a year. With a 37.2 mm steel case and the box-form sapphire crystal typical of Grand Seiko, the limited edition quartz Self-Daters are available with a silver or black dial. The silver model (SBGV009) is a replica of the 1964 original and is limited to 1200 pieces, while the black version (SBGV011) is limited to 900 pieces. These will cost €3750 before taxes, or about US$5160. The other series of Self-Dater inspired watches feature Spring Drive movements, which essentially self-winding, mechanical movements with an integrated circuit to control the escapement. This gives them an accuracy of within 10 seconds a month, whereas the average mechanical chronometer is rated to 5 seconds a day. These are powered by the 9R15, which has a date function and power reserve indicator for its 72 hour autonomy. All have the same 39.9 mm case. The top of the line model is the SBGA107. This has a platinum case, champagne dial and crocodile skin strap. Limited to 50 pieces, this will retail for €31,900, equivalent to US$43,900. The other two are both in steel, and limited to 500 pieces each. 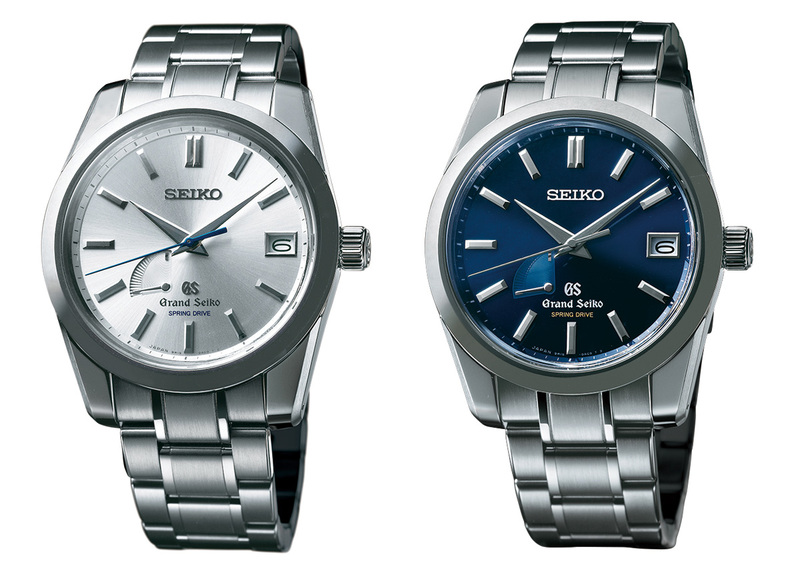 One has a silver dial (SBGA103), and the other has a deep blue dial (SBGA105). These will cost €6050, or about US$8320.